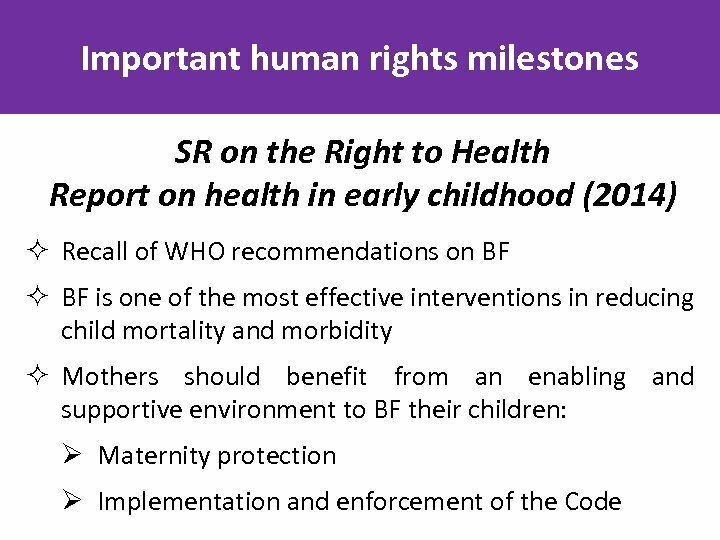 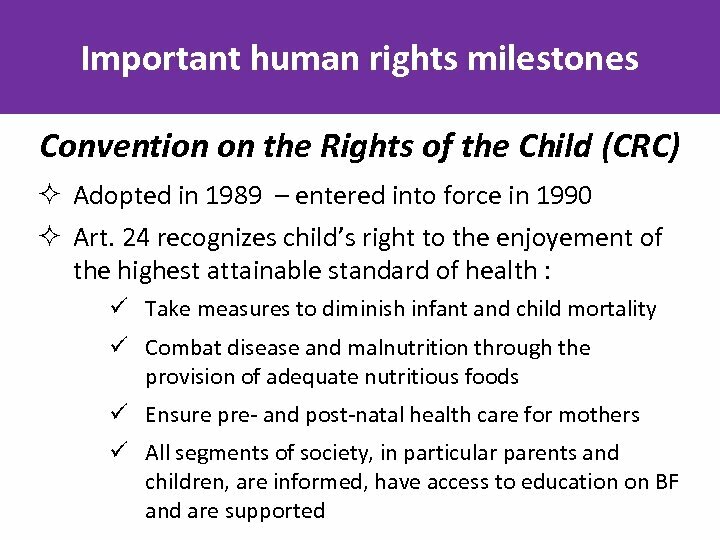 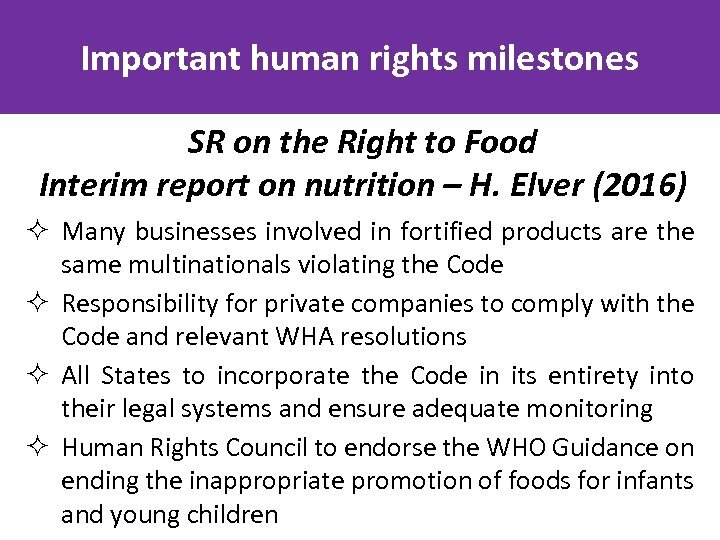 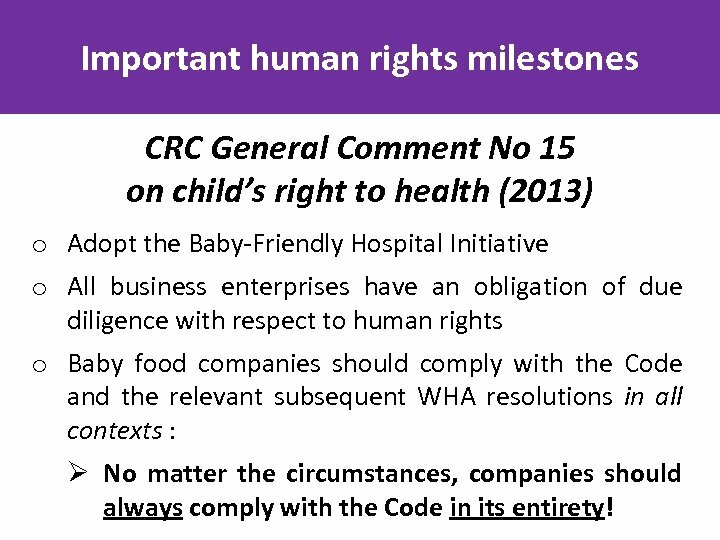 Important human rights milestones CRC General Comment No 15 on child’s right to health (2013) o Adopt the Baby-Friendly Hospital Initiative o All business enterprises have an obligation of due diligence with respect to human rights o Baby food companies should comply with the Code and the relevant subsequent WHA resolutions in all contexts : Ø No matter the circumstances, companies should always comply with the Code in its entirety! 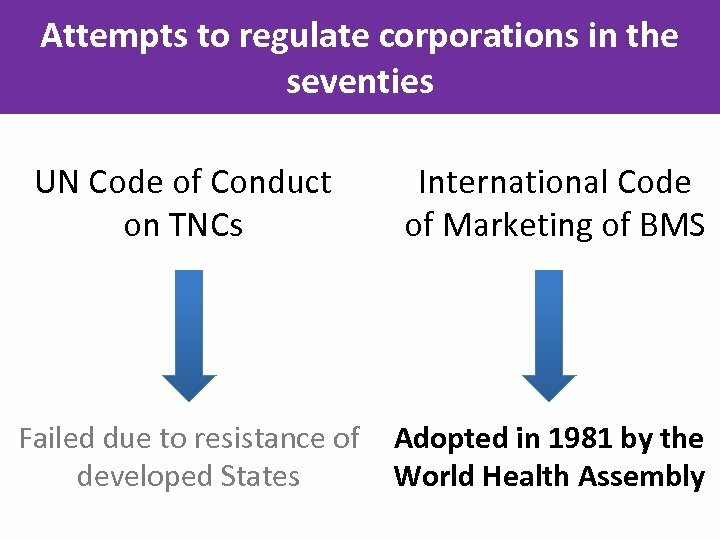 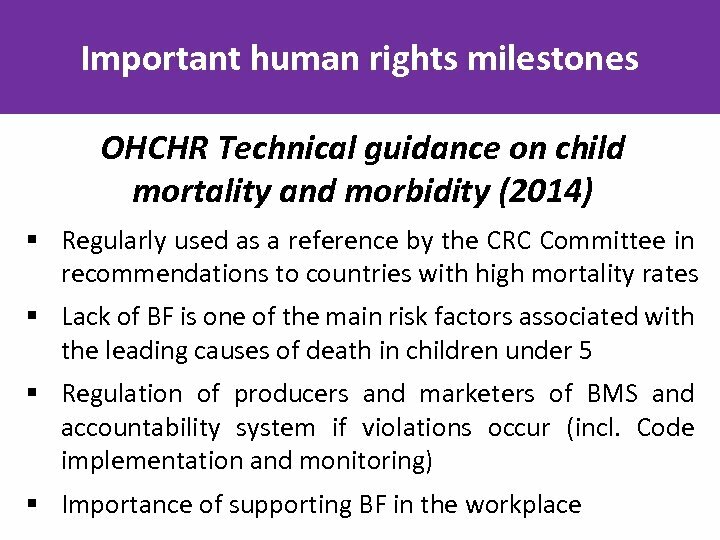 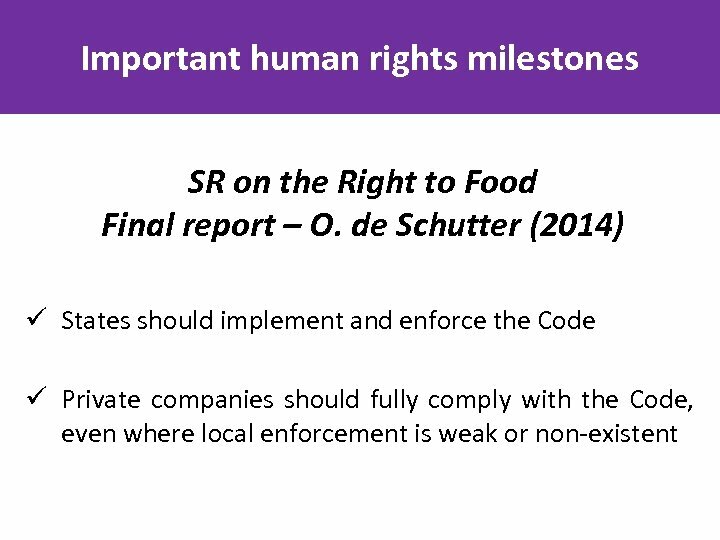 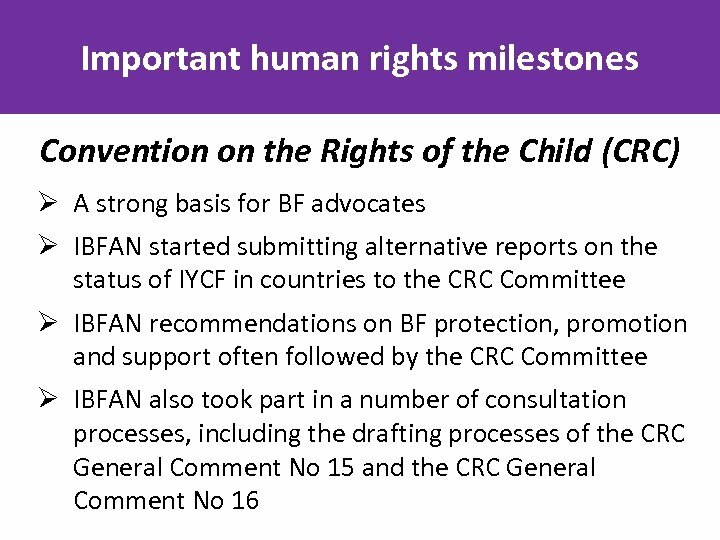 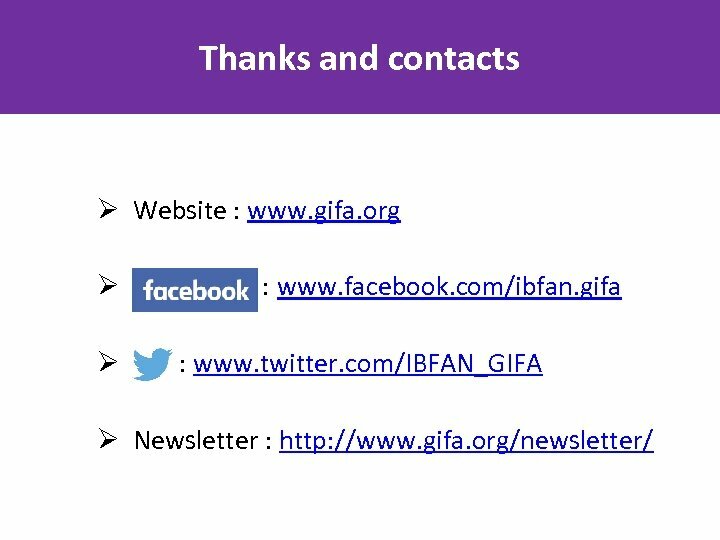 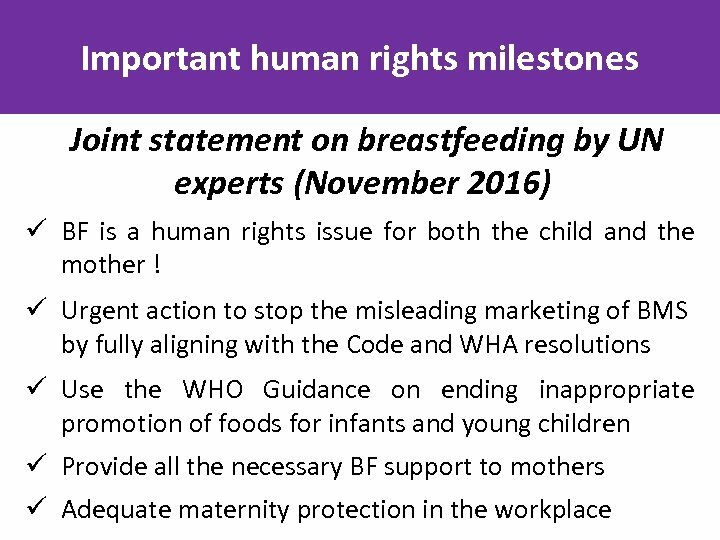 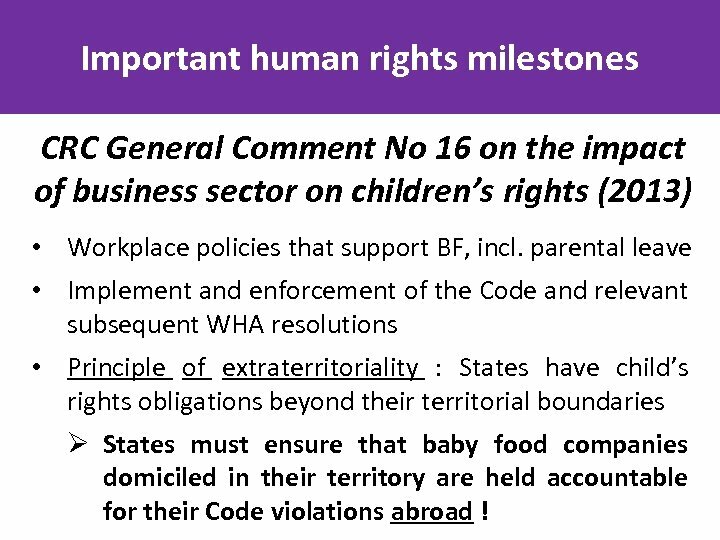 Important human rights milestones CRC General Comment No 16 on the impact of business sector on children’s rights (2013) • Workplace policies that support BF, incl. 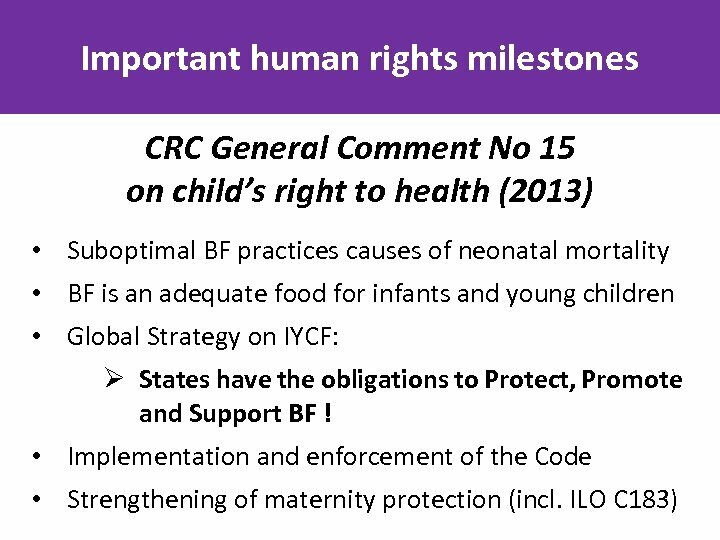 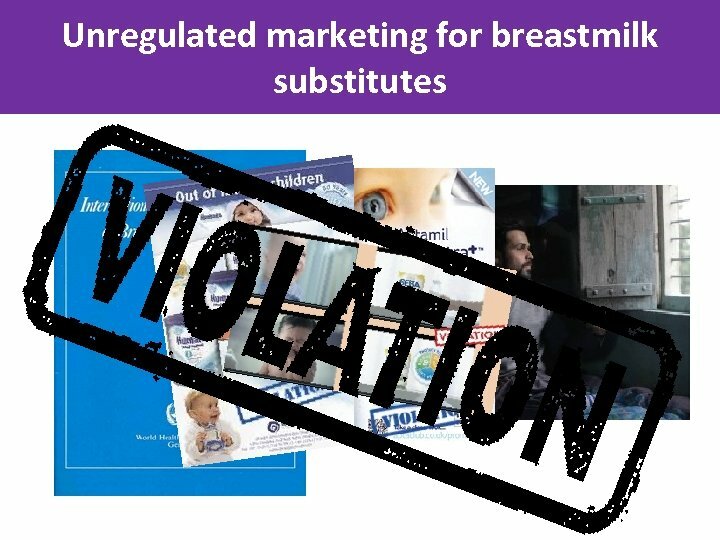 parental leave • Implement and enforcement of the Code and relevant subsequent WHA resolutions • Principle of extraterritoriality : States have child’s rights obligations beyond their territorial boundaries Ø States must ensure that baby food companies domiciled in their territory are held accountable for their Code violations abroad ! 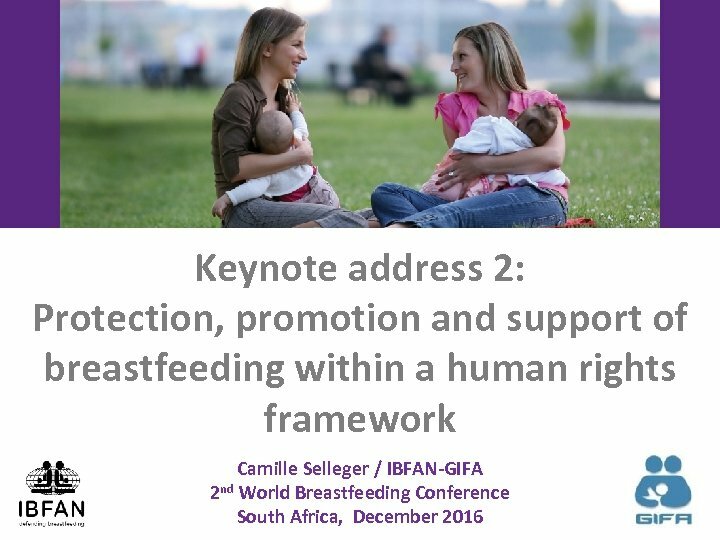 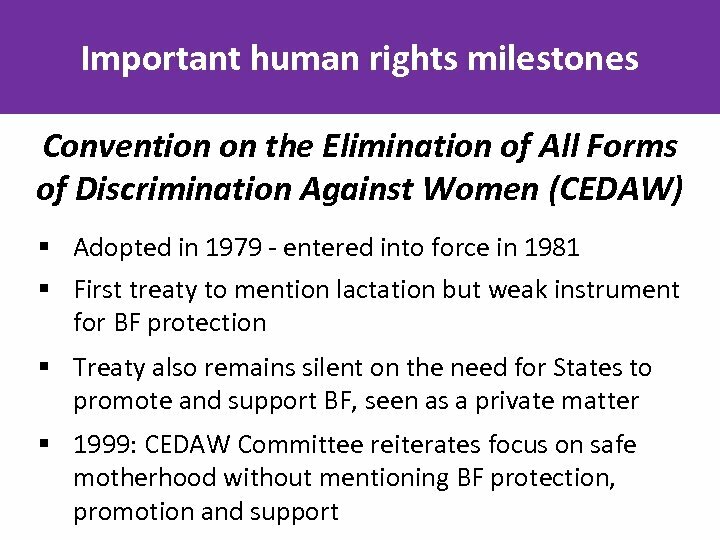 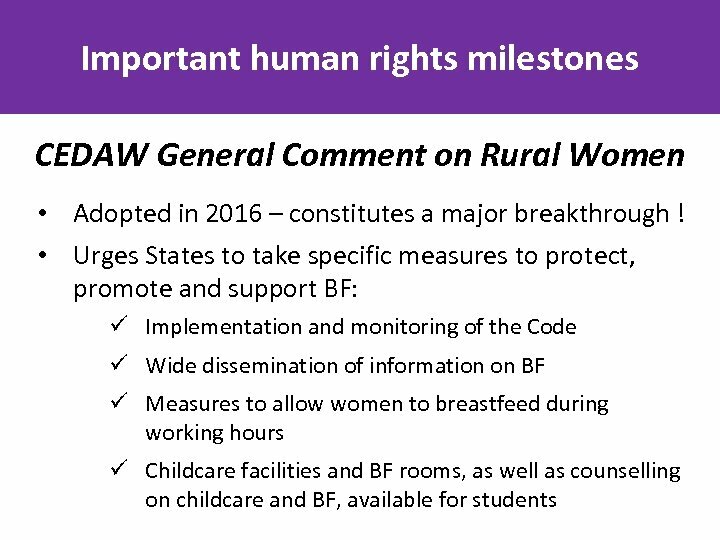 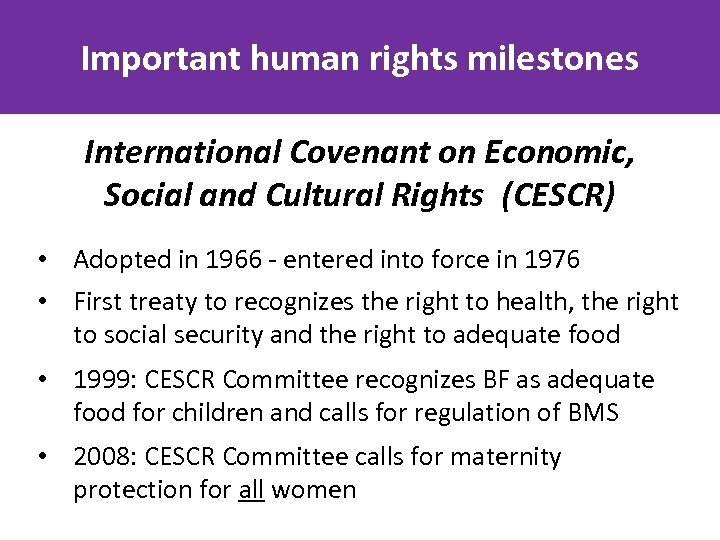 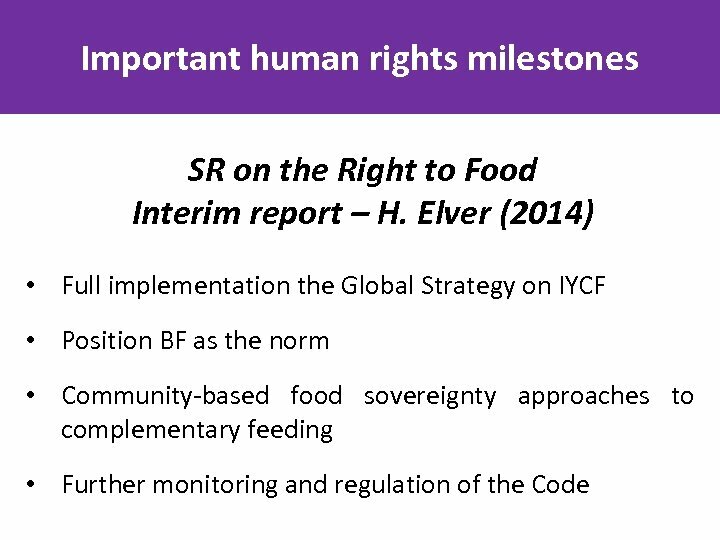 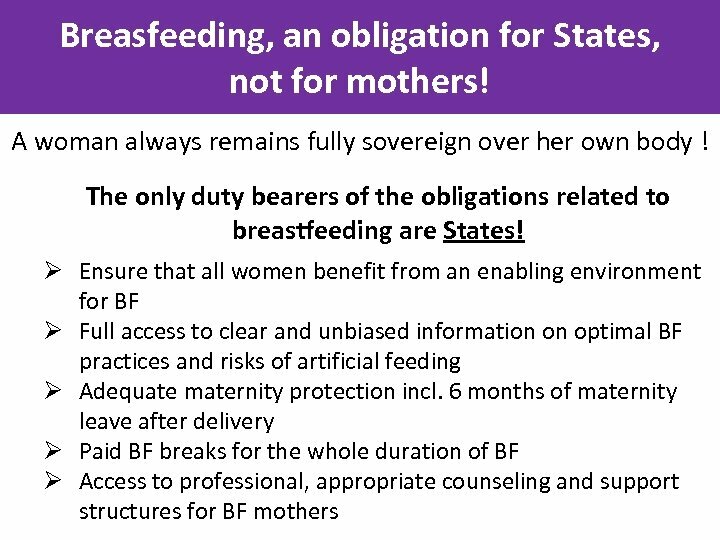 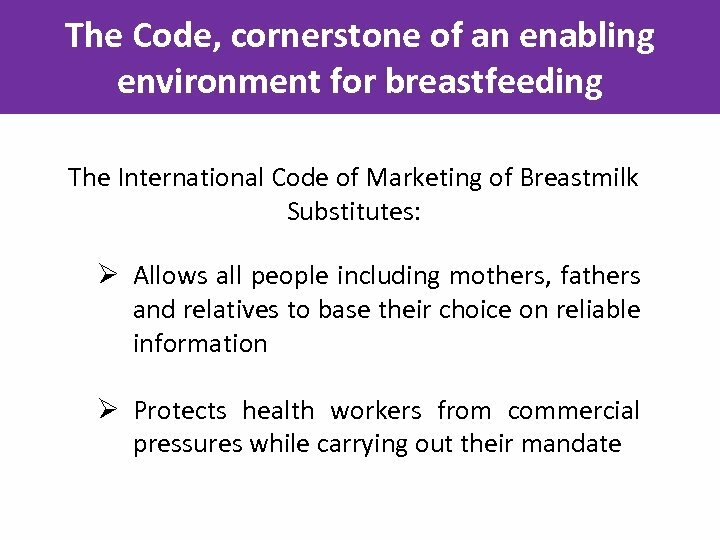 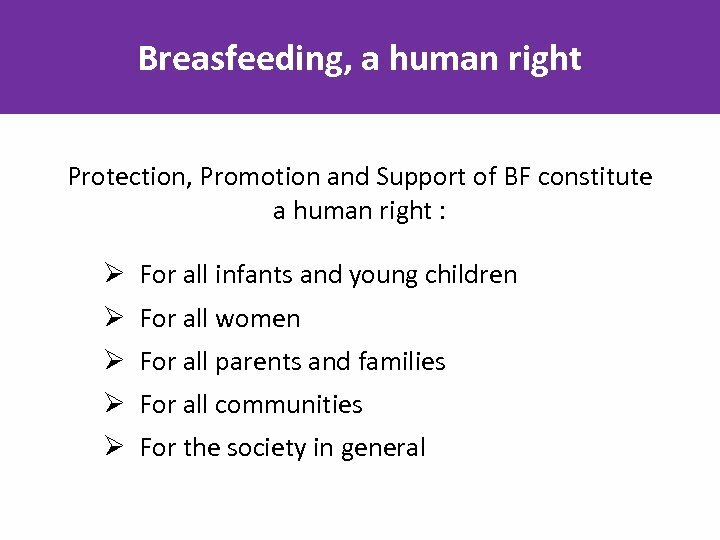 Breasfeeding, a human right All human beings would benefit from the implementation of BF enabling environments ! 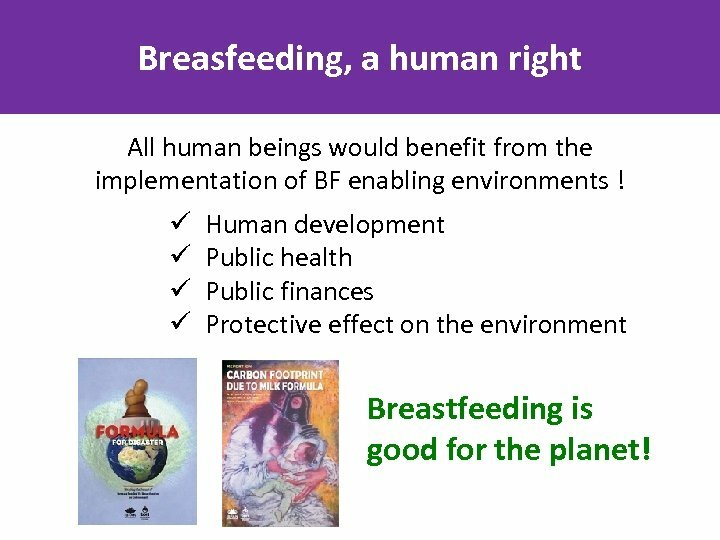 ü ü Human development Public health Public finances Protective effect on the environment Breastfeeding is good for the planet!